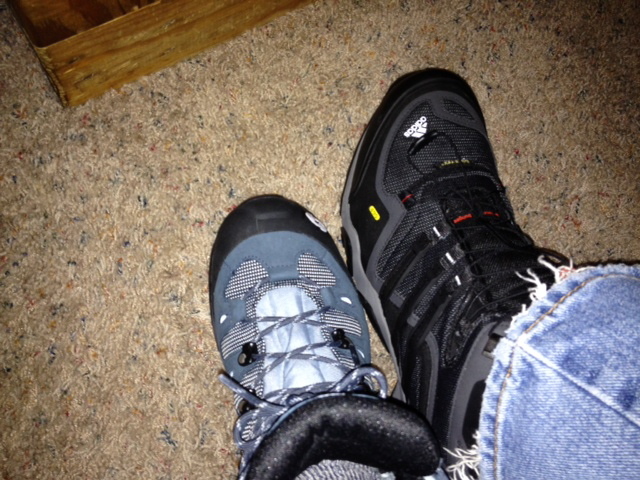 You see one shoe each of two pair of new hiking boots. The blue one is a woman’s size 9 ½. The black one is a man’s size 13. The woman will be 70 years old when this trip starts. The man will be 29 years old. 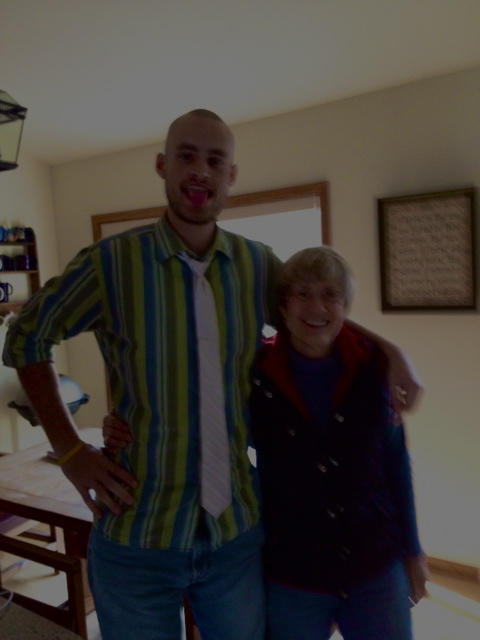 The woman is 5’4″ tall. The man is 6’7” tall. The relationship is Aunt and Nephew. The hiking trail will be at least 100 km. It is in a European country where neither of them has ever been. There will be no reservation made for meals or sleeping. Every thing they need will be carried on their backs. The trip will be called a pilgrimage. I think these boots are planning to write a story. I, for one, will be eager to read it. The black boot starts the story with “Awesome.” The blue boot responds, “Ahh” (word used by highly intelligent people to replace a wide range of words and emotions). This entry was posted in Stories and tagged Aunt, boots, friend, gift, nephew, pilgrimage, shoes, trip. Bookmark the permalink. 1 Response to Where Will These Boots Go?